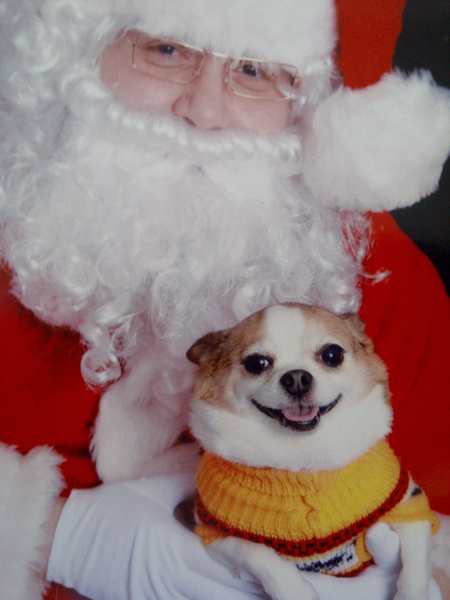 Derry took pictures with Santa today in his Christmas sweater. At first he was freaked out at being held by a stranger who had more facial fur than he did, but then he decided it was fine, if Santa brings him treats on Christmas day. 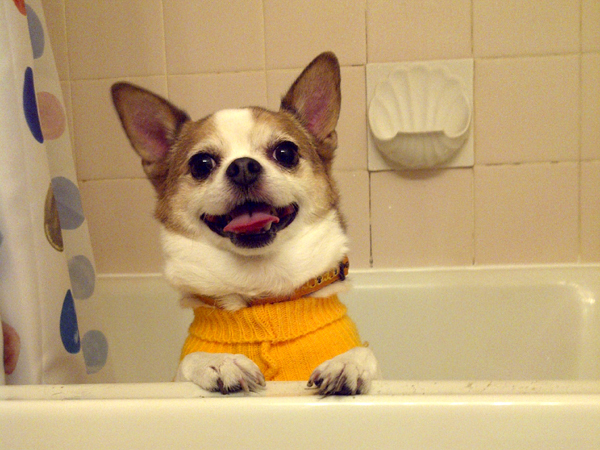 I have never seen him so happy to be in the bathtub - I had to take a picture. I should have also taken a picture of the tub... so many dirty paw prints. The fatty loves making a mess. He is now all pooped out on the couch, so I put a pompom on his head.